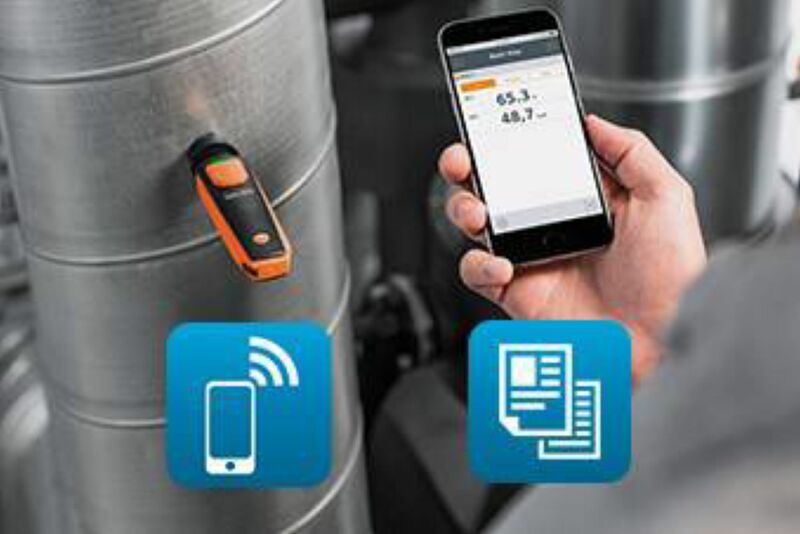 With Testo's new Smart Probes, measurement is more mobile, more productive and easier than ever before. 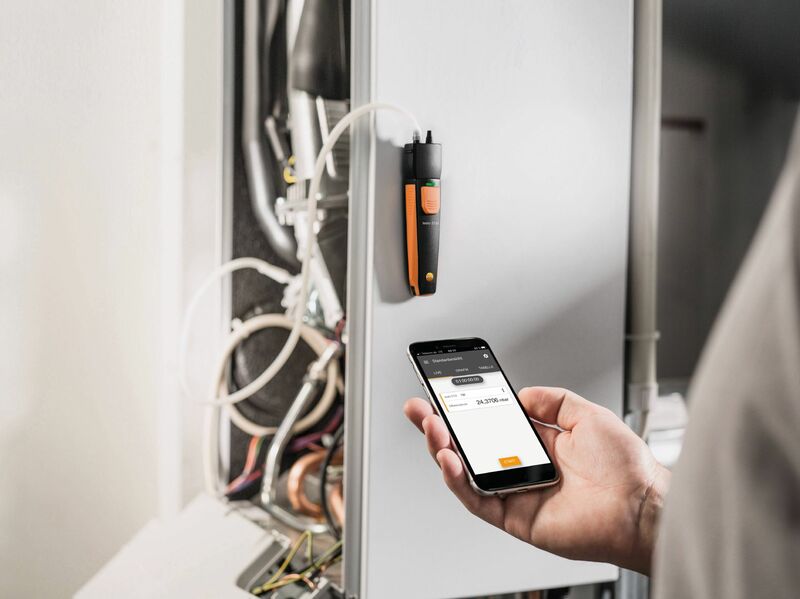 Because the compact professional measuring instruments (including Bluetooth thermometers, smartphone thermometers and iPhone thermometers) can be operated with your own smartphone or tablet via the testo Smart Probes App, and conveniently transported in the handy testo Smart Case. That way, you always have all your measuring technology with you and ready to use immediately. 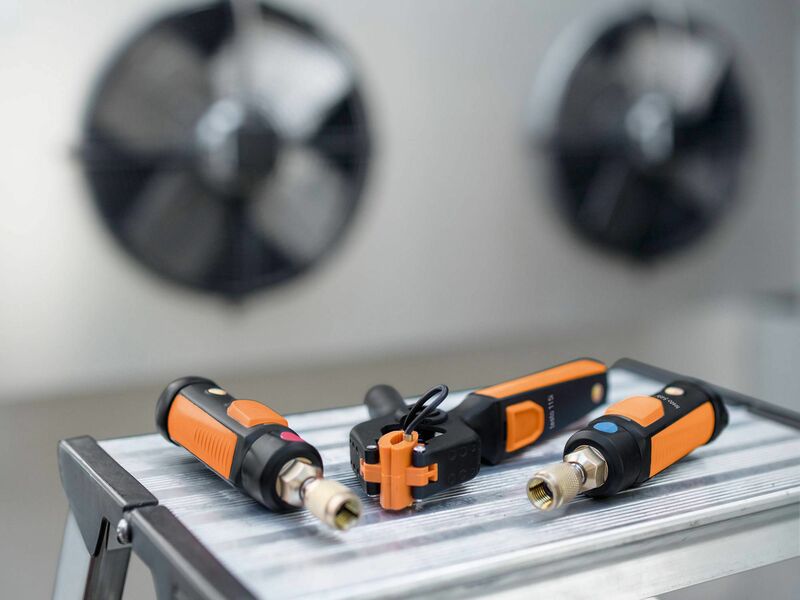 For servicing air conditioning and refrigeration systems and measuring flow and return temperatures. 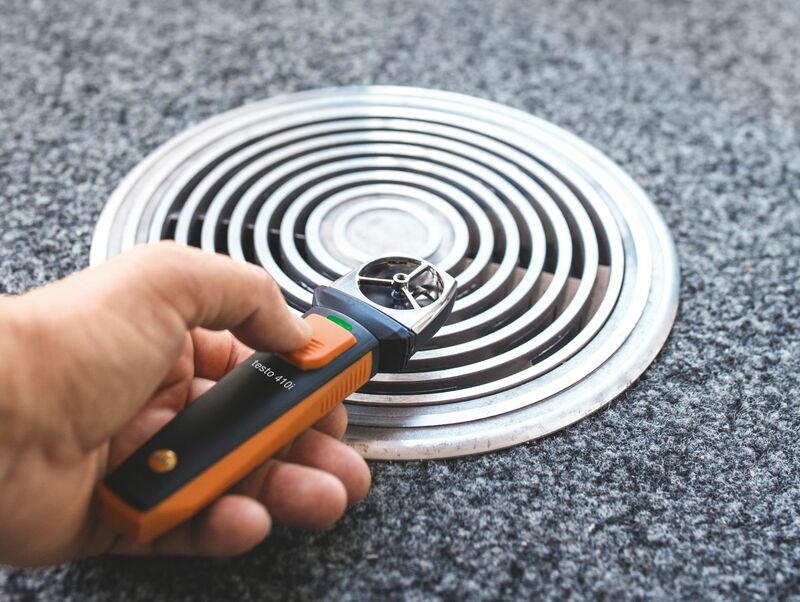 For the measurement of air flow velocities, temperatures and volume flows in ventilation ducts. For air flow velocities, temperatures and volume flows at air outlets. Measures differential pressure, air flow velocity and volume flow. For service and troubleshooting on air conditioning and refrigeration systems, as well as for installing them. 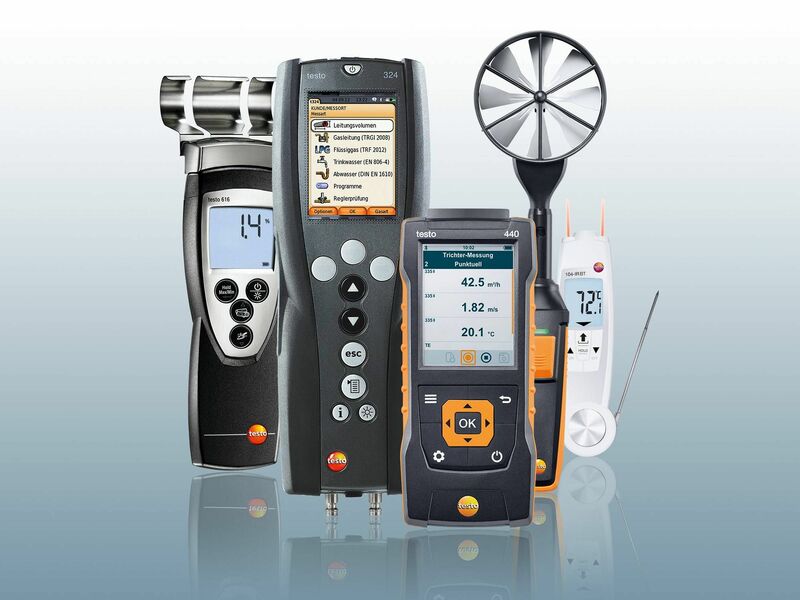 For the measurement of air temperature and humidity in rooms and ducts. For the non-contact measurement of wall, fuse and component temperatures of air conditioning systems. Also known as the iPhone thermometer. 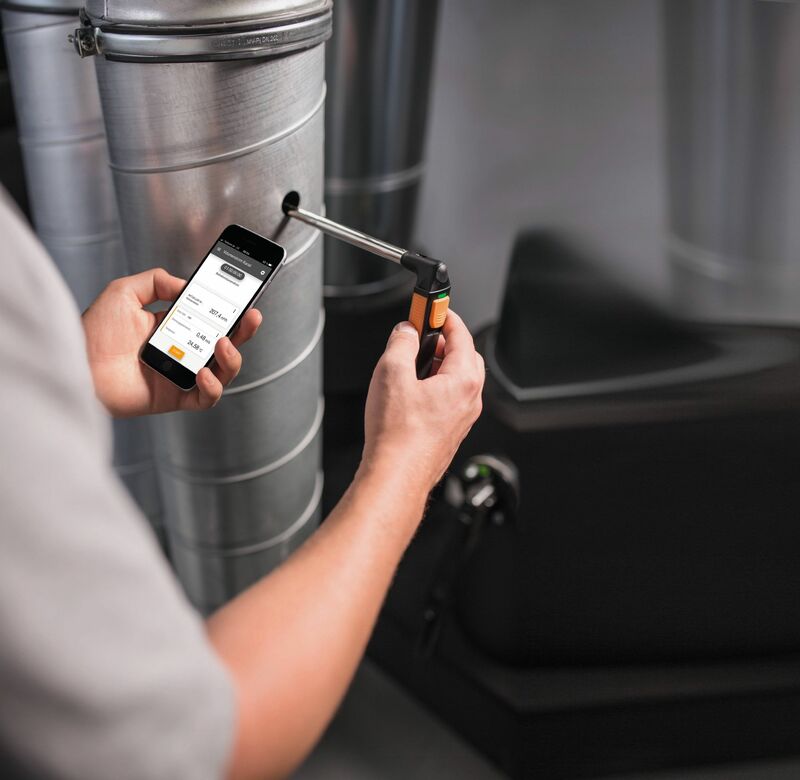 Measures ambient temperatures and temperatures in ducts and at air outlets. 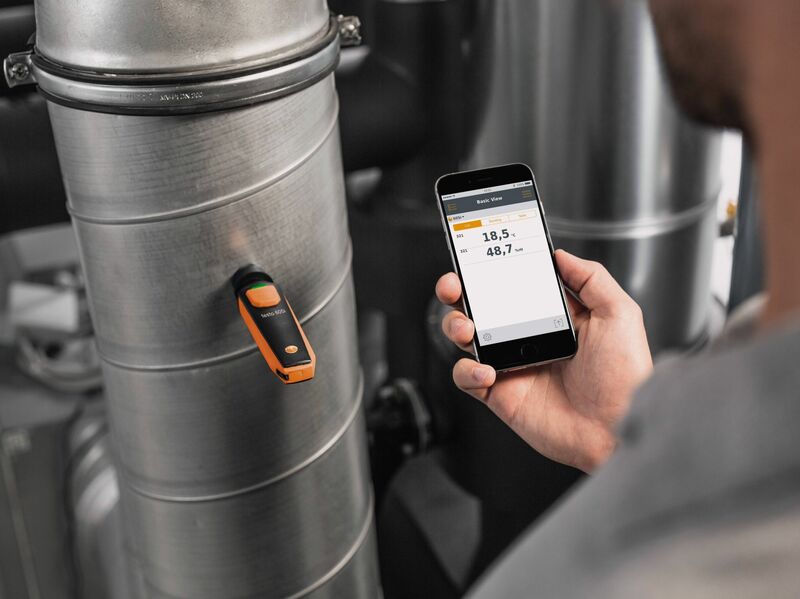 How do Testo's smartphone thermometers and smartphone measuring instruments work? With an App! 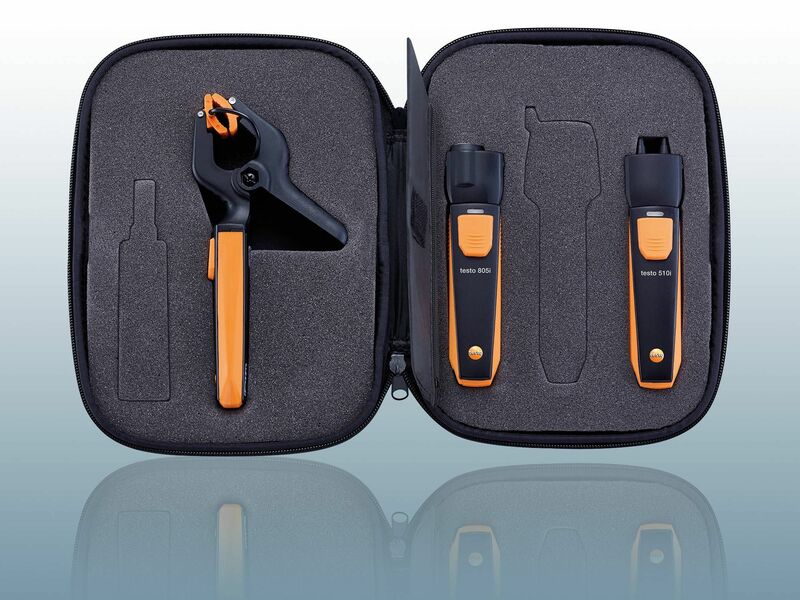 In simple terms, a Smart Probe is a smartphone measuring instrument. 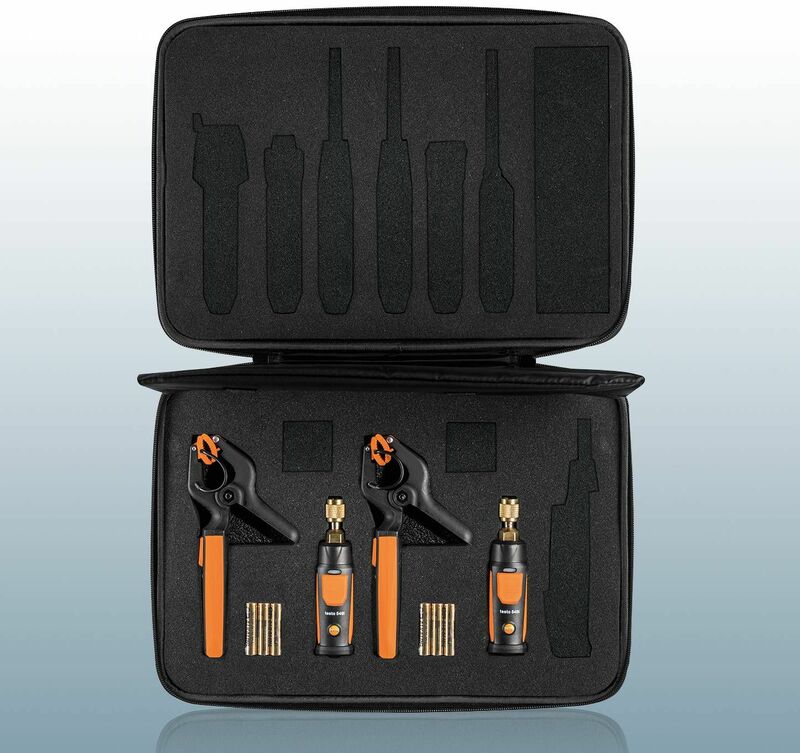 Each of the compact measuring instruments fulfils an entirely specific measuring task in this respect. 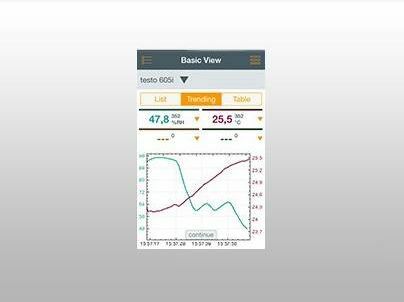 The testo 410i vane anemometer (smartphone anemometer) for example measures flow velocities. 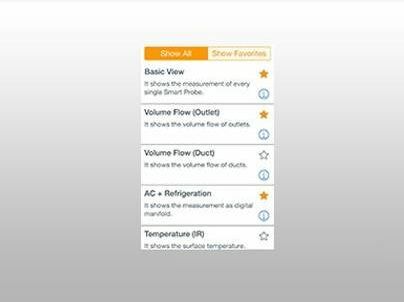 The testo 605i hygrometer (iPhone hygrometer) in turn measures humidity, amongst other things. 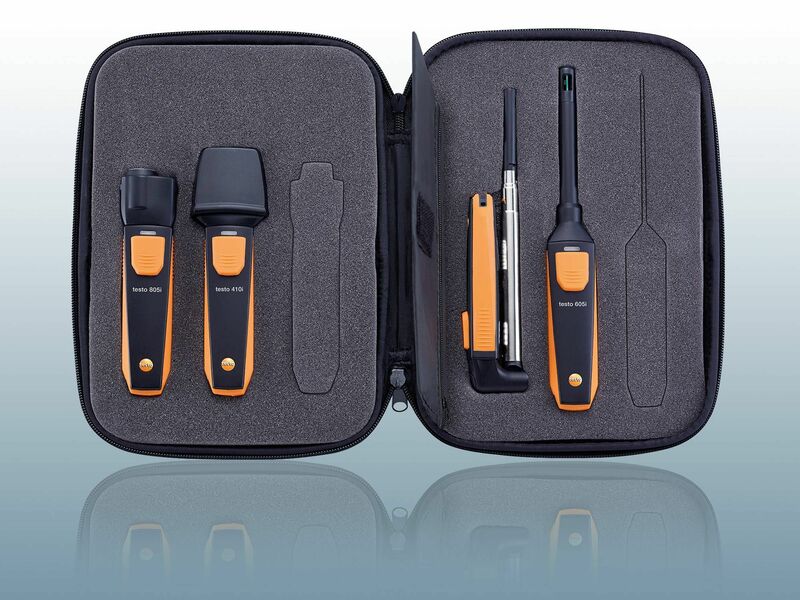 What is common to them all, is operation via the testo Smart Probes App. 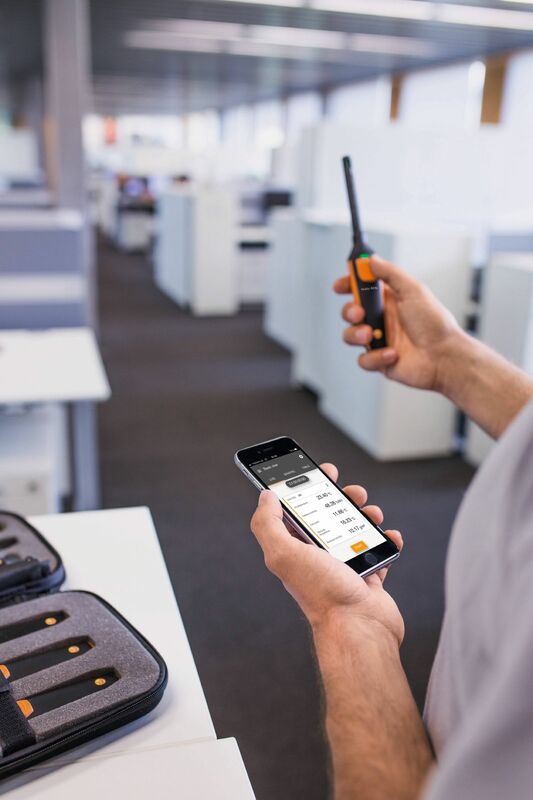 With Testo Smart Probes, both control and measuring value display work completely wirelessly via App – even at a distance of several meters from the measuring instrument. Measurement data reports can be supplemented with photos and sent as a PDF or Excel file while still on site. 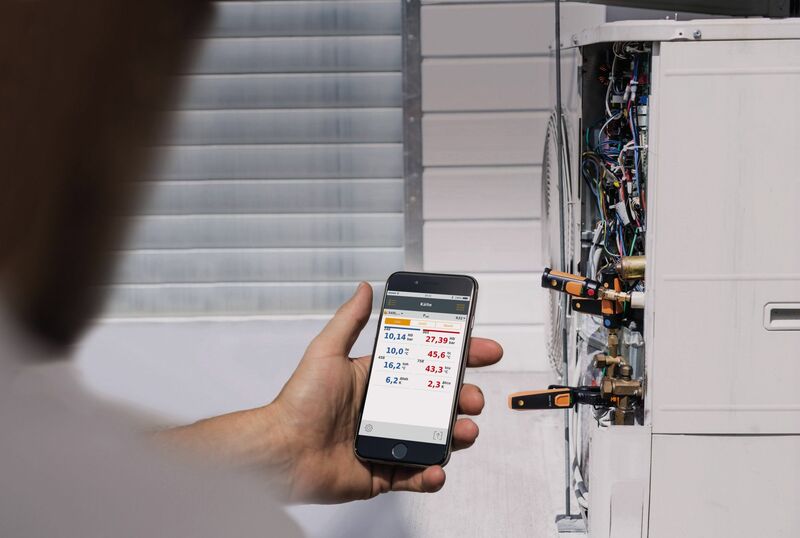 For example, simultaneous display of up to six Smart Probes enables comparison of several pressures and temperatures in refrigeration systems. 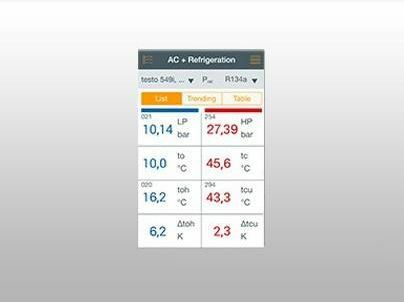 The App quickly visualizes measurement value changes as a graph or a table. Temperature is surely the most frequently measured measurement parameter. There is a correspondingly large choice of appropriate measuring technology. Depending on where and how you want to measure, all options are open to you. 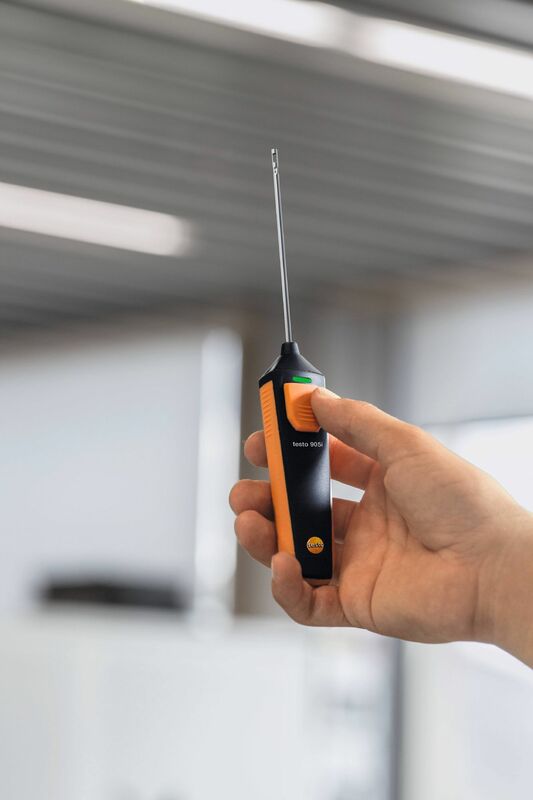 No matter whether it is a classic temperature measuring instrument, an infrared measuring instrument for non-contact measurement or an immersion thermometer to measure temperatures in liquids – you are sure to find just what you need at Testo. The measurement of humidity is relevant in many applications. 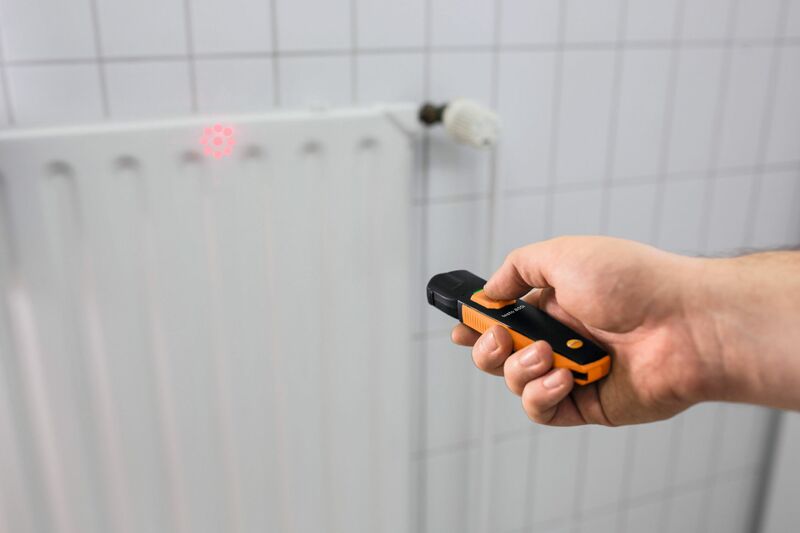 Thus, the uses of a humidity measuring instrument include determining humidity in rooms or material moisture, for instance of building materials or firewood. When it is a case of setting air conditioning and ventilation systems correctly, you rely on a robust and precise flow meter. 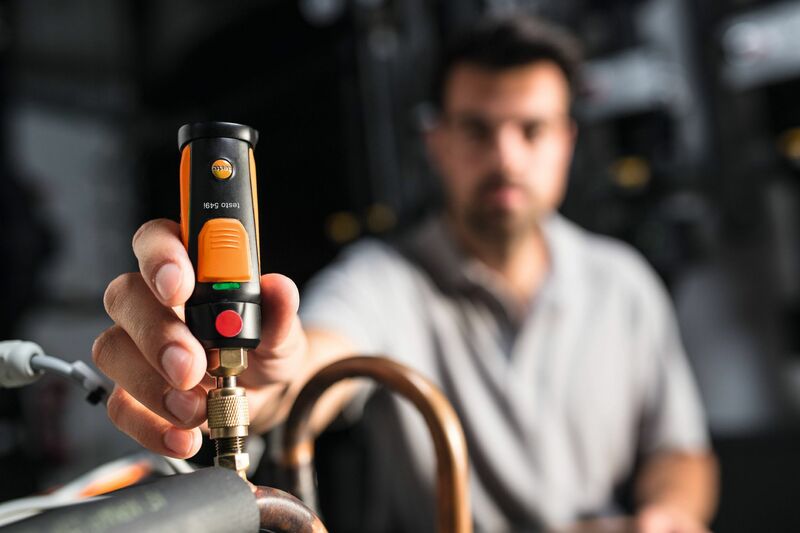 Testo offers you a large selection here and has also included an intuitively operated all-rounder in its range with the new testo 440. It is above all in the heating and air conditioning trade that pressure measurements have to be carried out. A pressure measuring instrument makes it easy to determine pressures of refrigeration systems, etc. quickly and easily.